Today I’m happy to introduce my friend and fellow member of Book Pregnant, debut author, Melanie Thorne. I was lucky to read an early copy of her novel, Hand Me Down, which Melanie sent to me herself. I was captivated by the voice, overwhelmed by the injustices, enraptured by the hope. Melanie doesn’t hide the fact that she has taken her life and transformed into fiction. Below she talks about how that’s possible and why it’s preferable to writing a memoir, for her. 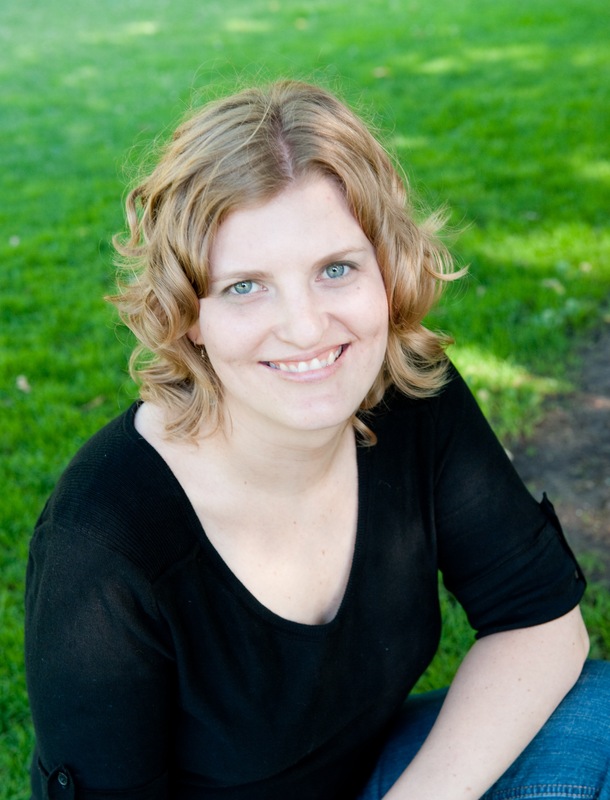 Please welcome my friend, Melanie Thorne to Women’s Fiction Writers. Amy: HAND ME DOWN is a novel based in truth. So, here’s the question. Why write a novel based in truth instead of a memoir or a novel based in no truth? What compelled you to take your personal story and tweak it to be a novel? Melanie: When I first started writing Hand Me Down, I had this idea that if it was published, it would say “based on a true story” on the cover. There was a part of me that wanted the world to know that the basic outline of events in the book had really happened; the betrayed teenage girl in me still wanted validation for her experience. But there was a bigger part of me that wanted the freedom to manipulate the truth of what happened in order to tell the truth of the story. In a novel, I could adjust timelines, consolidate characters, change details, invent conversations, exaggerate behaviors—in short, make stuff up—without worrying about the limitations of “what really happened.” While I don’t necessarily believe that non-fiction is any truer than fiction, memoirs bear the responsibility of at least attempting to remain as accurate as the author’s memory allows. Fiction allowed me the freedom to ignore the irrelevant details so I could get at the bigger emotional truths more easily. If I’m being completely honest, there is also an aspect of protection in writing a novel. Non-fiction bridges the gap between what exists on the page and what exists in the physical world. Real names are used, so the characters are not characters, they are actual breathing people who didn’t ask to be written about. In creating a work of fiction, people who begin as people become characters once they’re on the page. I can shape them as I see fit. I also get to walk the line between me and not me, between my life and Liz’s, and that uncertainty makes me a little less vulnerable than if I’d written a memoir. Fiction provides a bit of shelter. Amy: There are many important issues addressed in HAND ME DOWN — and since I was lucky enough to read it early — I found the overriding arc to be about the meaning of family and the will of one’s spirit to survive anything. What did you have in mind when writing? What was your goal in telling this story? Melanie: Your description pretty much nailed it, which makes me happy. It’s so wonderful to hear a smart reader get it. Thank you. To go a step further, I would also say part of the goal is to illustrate not just the meaning of family, but all the different ways a family can look, the many shapes it can take. Family to me is about love and support. Some blood relatives will give you that, but some won’t, and like Tammy tells Liz in HMD, it’s okay to choose your family, okay not to love someone just because you’re related, or because they’re suddenly married to your parent. Liz does her best to choose her family, but also discovers that blood ties often have a very strong pull, even if we wish they didn’t. Survival is definitely also a major theme in this book. Each main character has survived a family trauma, and in response to that defining event, developed defense mechanisms that became part of each of their personalities, like we do in real life. I wanted to explore the ways these learned behaviors get passed down through families, and how those shields that we carry as protection can cause their own problems. But what survival is really about is hope. Hope exists in moments of joy and love and justice, even during the darkest of circumstances, even if those moments are fleeting, and I tried to show those moments in this story, because without them, these characters would have given up. Without hope, we would all give up. Liz’s story is just one example of how strong we can be in the face of hardship. People can survive anything. It’s really amazing. Amy: HAND ME DOWN is an adult novel with YA crossover potential, big time, in my opinion. Who were you thinking of as the reader when you wrote the book? Melanie: Since I wrote the first draft of this as my graduate thesis, my first readers were my peers and my professors, adults and talented writers, so the book was aimed at an adult audience from the start. 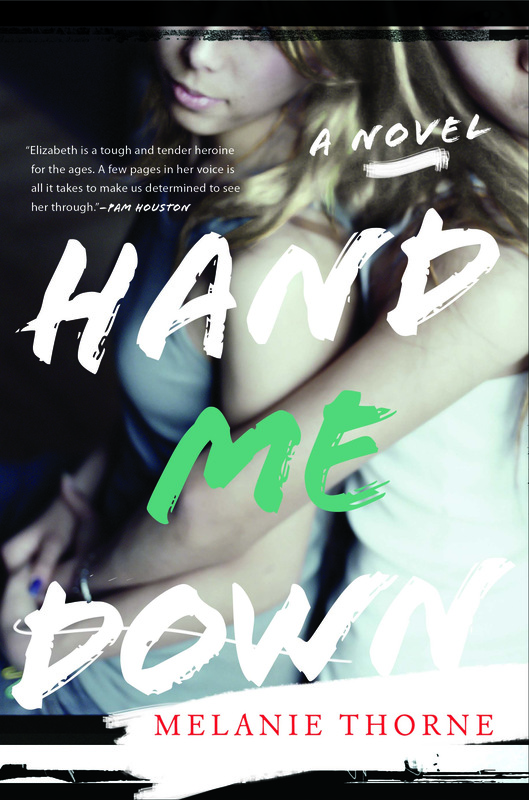 But teens read adult books all the time, and a teenaged me would have loved a book like Hand Me Down, and I’m hoping YA readers will respond in kind. I do think books aimed at younger readers have a different feel from adult literature, and while I would classify HMD as adult fiction, I truly hope older teens or teens who have had to grow up fast like Liz does will love the story, maybe even find comfort in her journey. Ultimately, a book that speaks to you is a book that speaks to you, regardless of its label. As a teen, I read adult books and as an adult, I still read teen fiction. Being a teenager is universally relatable—we were all there once, entangled in all the horror and bliss—so I think a young narrator can appeal to readers of all ages. I hope I created a narrator who does just that. Amy: I considered it fair game for WFW because the issues of women and family are prevalent in HMD — and because WF is, as we’ve mentioned a million times, a genre with a broad umbrella. Are you comfortable with it falling there? There is so much muck about WF these days, I wonder if some authors aren’t turned off by the label. I’m not — but I’m just one person (so I keep being reminded). Melanie: My only concern about the Women’s Fiction label is the perceived notion of what that means: superficial or insignificant. I’m all for Women’s Fiction as a genre that is written by women and more likely to be loved by women, but dismissing these books as frivolous or unimportant—which does, unfortunately, happen—sells the books short, both literally and figuratively. Lots of smart, female authors like Jennifer Weiner and Jodi Picoult have already discussed the unfair treatment of women’s fiction from some literary circles, and I’m also frustrated by the double standards applied to fiction written by men vs. fiction written by women, but my instinct isn’t to run away from the label. I say we embrace it. Fiction for women, by women is not a bad thing. Women read more fiction than men, so it sort of makes sense that we needed our own marketing niche. I believe that women are likely to—and have been—respond to my book, so if the label makes my book easier for women to find it and read it, then I’ll take it. I’ve also had some wonderful responses from men, which says that there are men who see past the negative connotations of the genre, so maybe perspectives are already shifting. Amy: When I started writing THE GLASS WIVES in 2007 (when it had the first of four titles before this one), there was much more me in the characters and much less — character. But over the course of writing it for five years, that changed and the characters emerged as completely independent. How did you separate your truth from your characters’ truths? Melanie: My process was similar to yours. When I started, I envisioned real people—myself included—very specifically. I even used real names for most of the secondary characters. But through writing and revising, the people became characters who bore resemblance to the originals, but were no longer attempted replicas. I’m not sure I did in fact separate my truths from Liz, though. Her emotional truth, her emotional journey, is mine. The exact actions, behaviors, and conversations are not all “real” but her feelings: her anger, her pain, her hope all belonged to me. As I mentioned earlier, in choosing to write fiction I gave myself the protection of readers not knowing exactly what is real and what is pure fiction in the book, but Liz’s emotions at least, are incredibly true. Melanie: I’ve been thinking about this one since I knew I was going to be a guest here, and it’s too hard! So I think I might just offer a simple answer here, even though that question is anything but simple. It’s such a huge genre, with many sub-genres, but I’ll go with: books written by women that are most likely to be loved by women. My favorite women’s fiction includes strong, smart heroines, complicated relationships, and not necessarily a happy ending. Amy: What is your best advice for aspiring authors, especially of women’s fiction, who want to tackle real life tough topics in a fictional setting? Melanie: Don’t hesitate to sacrifice “what really happened” for the good of the story. So often I’ve heard writers say in response to a workshop critique: “But that’s true. That really happened.” It doesn’t matter. In fiction, the truth you owe your readers is the emotional truth of the scene, not a play-by-play recounting of an event or conversation. If it’s a deeply personal story, as mine was, I might also suggest trying to look at the topic from multiple perspectives. That might not happen in the first draft, and that’s okay. It’s normal to write your side first. But in revisions, shift your angles of reference, try to see through the eyes of multiple people involved, give those characters reasons for their actions, even if you don’t understand the real life decisions the actions are based on. And don’t be afraid to admit the hardest thing about your characters, particularly if one of them is you. Writing takes a lot of self-reflection, especially if you’re tackling real life tough topics, but writing through the harsh truths makes the best stories. PS. Thanks, Amy, for having me on your fantastic blog! I’m so honored to be a guest here. I loved having you here, Melanie! It’s always extra-special when a WFW guest is also a friend! Click here to find out more about Book Pregnant. I found your process very fascinating to read about, Melanie. It sounds as if writing about real life in a fictional setting has empowered you as a writer. I have had a hard time admitting when my novels blend into my real life, but it sounds as if a big chunk of your novel came from reality. Sounds like one to put on my TBR pile. Thanks, Tina! A big chunk of my book did come from reality, but I loved that I was able to fictionalize. I often think of fiction as liberating, but empowering is even better! Wonderful post. I plan on sending it a male member of one of my critique groups. He’s writing stories about his very interesting and comical upbringing in the south. And he has said more than once, “That’s what happened.” You laid out exactly what “what happened” is not necessarily the best way to convey the truth. Thanks and I look forward to reading Hand Me Down. Thanks, Denise! I hope this helps your writer friend. I think at first it’s hard to let go of the notion that you need to write exactly what happened, but with practice, it can be done, and it really is a wonderful freedom. Melanie and Amy–what a fabulous discussion–and I especially love Amy’s question (and your answer, Melanie) on how the truths of one’s characters evolve through drafts and how the process can be so mind-blowing in hindsight but so elusive in the moment. HAND ME DOWN is being added to my list. I wish you all the best with it, Melanie! Thank you, Erika! Amy’s questions were wonderful. I could have written a whole post on each one. Glad you enjoyed the discussion! Fabulous post! I really liked your comment, Melanie, that ““The real point of fiction: resonating emotional truth.” I think this is why I’m drawn to character-driven fiction – so that I can get to those truths and experience them myself. For me, a reading experience is ALL about emotion! I wrote my first novel based on some real-life events, and now that I’m writing a novel based on characters conjured completely from my mind, I’m realizing how much easier it is to write the make-believe world. So kudos to you for making it work! Without the constant shroud of “but that really happened” and “what will this person think/will he or she recognize herself/himself” hanging over my head, I feel l’m freer to focus on the story/the words/characters, I think. It sounds as though you figured that part out early on — the necessity for fictionalizing the characters and events (I tended to grapple with it throughout the process). I also believe that mining the depths of our own emotions/experiences is the most fertile ground for creating moving, compelling fiction. And your book sounds JUST like that. I can’t wait to read it. Heading over to Goodreads to put it in my TBR list! Thanks, Melissa! Yes, I agree, character driven fiction is always my favorite, especially with a strong engaging voice. Interesting to hear about your process with book two versus book one. My next book will be much less based on my real life. I hope I, too find that it’s easier that way! I hope the writing continues to go well. You’ve nailed the definition of Women’s Fiction as I understand it. I shied away from the label at one time, but have come embrace it. It’s real life. My MC started as me with all my griefs and worries until she fell for a guy I’d never fall for. ; ) Characters do take on lives of their own. And isn’t that fun! Thanks, Zan! It IS fun when characters take on lives of their own. I hope your writing is going well! Great post! I love the idea of the teenager inside still wanting validation. I think we all have one of those. And also love the discussion about women’s fiction,…Thanks, Melanie, for a great interview! Thanks, Anne! I think you’re probably right about many of us having that teenager inside of us. It felt good to let mine out for a while. Wonderful post on many levels! There’s so much of my life in my debut novel, but I remember that moment when I realized I could think outside the box. So liberating to write fiction! This was great, thank you! I’ve also got a novel “based on true events” in me somewhere, that I hope someday to have the skills to write, but have also struggled with how to tell it. The underlying truth makes for an interesting story but the way it really happened – not so much. I loved learning about your process of transitioning the story from fact/memoir to fiction. Thank you! Thanks, Terri! Exactly–the truth is what makes the stories interesting, not necessarily how those truths came to light. Good luck with your story. Thanks! I’ll need it (luck), lol!